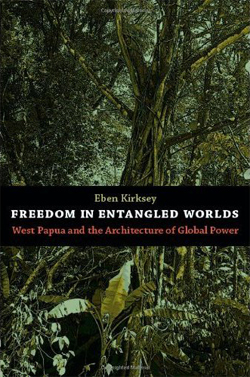 Eben Kirksey first went to West Papua, the Indonesian-controlled half of New Guinea, in 1998 as an exchange student. His later study of West Papua's resistance to the Indonesian occupiers and the forces of globalization morphed as he discovered that collaboration, rather than resistance, was the primary strategy of this dynamic social movement. Accompanying indigenous activists to Washington, London, and the offices of the oil giant BP, Kirksey saw the revolutionaries' knack for getting inside institutions of power and building coalitions with unlikely allies, including many Indonesians. He discovered that the West Papuans' pragmatic activism was based on visions of dramatic transformations on coming horizons, of a future in which they would give away their natural resources in grand humanitarian gestures, rather than passively watch their homeland be drained of timber, gold, copper, and natural gas. During a lengthy, brutal occupation, West Papuans have harbored a messianic spirit and channeled it in surprising directions. Kirksey studied West Papua's movement for freedom as a broad-based popular uprising gained traction from 1998 until 2008. Blending extensive ethnographic research with indigenous parables, historical accounts, and compelling narratives of his own experiences, he argues that seeking freedom in entangled worlds requires negotiating complex interdependencies.